If you are a small online seller and you need to ship your goods to a customer halfway around the world, you can ship your product yourself, that is if you’re willing to go through the laborious process of receiving the order, shipping it to its country of destination, securing storage and finally, delivering the product to the end user. This is not to mention having to go through the usual taxation processes of individual countries where you are marketing your product. For small online merchants’ fulfillment can be a very taxing proposition as these businesses do not have their own storage and distribution facilities. Plus, there is also the problem of having to pay huge shipping fees just to get their goods from point A to point B. 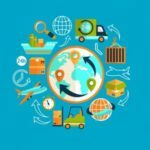 These complexities of the logistics stream can cause small online sellers to miss out on growth opportunities. This is where order fulfillment services can really make a difference. Third-party companies that provide order and fulfillment services on behalf of other businesses, order fulfillment services were created to make life a bit easier for online sellers. These services can handle different types of transactions, ranging from large business-to-business orders to individual direct-to-consumer orders. Although order fulfillment services are known to be popular among Fortune 500 companies, these services also cater to the little guys, who are not capable of handling their fulfillment needs on their own. Fulfillment has always been a huge task for small businesses, involving processes such as order taking, packaging, payment processing and shipping/delivery. Now, this is not to say that the service is cheap, as it requires a significant investment on the part of businesses. However, there are order fulfillment services that offer low pricing models, giving startups access to their services. Aside from this, such services have been known to significantly reduce shipping costs while positively impacting bottom lines. With all these benefits, it is no surprise that more and more businesses have been availing of order and fulfillment services. In fact, the global market for the sector is forecast to grow at 6% over the next few years and is even seen to reach $52.3 billion by 2021. 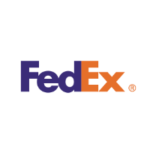 One of the most popular, order fulfillment services in the market today, FedEx Fulfillment offers a broad selection of logistics services, including warehousing, packaging and shipping. The service is a perfect fit for international and multichannel merchants, but also caters to small and medium-size enterprises. It is essentially an integrated supply chain product backed by an intuitive platform and FedEx’s own transportation network. Service order fulfillment can be made using multiple channels such as online marketplaces and websites. FedEx Fulfillment offers customers absolute control over their products all throughout the logistics process using functionalities such as inventory tracking and management and trend evaluation. Additional selling points are unique capabilities such as same day fulfillment, two-day ground shipping in the United States and easy returns management. Also, FedEx Fulfillment provides customer service, while ensuring that its clients retain their brands. With its customer service, FedEx Fulfillment can collaborate with customers, allowing for a richer customer experience. In this article, we will take a look at the top 10 FedEx Fulfillment alternatives that you may choose from. Their features, functionalities and pricing will be discussed, along with the benefits that they offer. 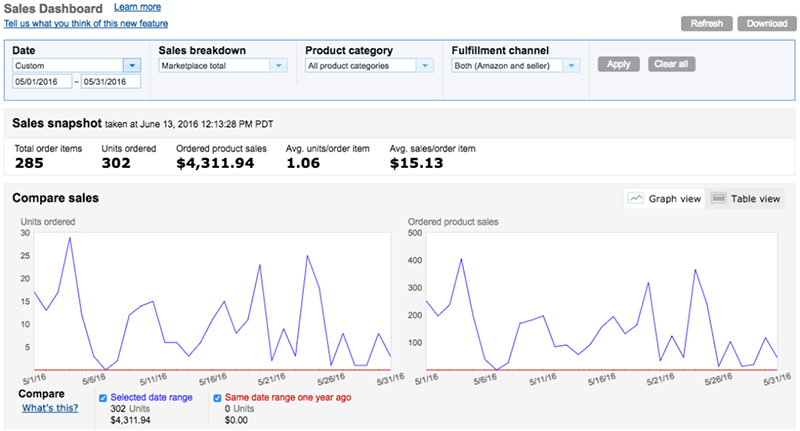 At the top of our top 10 FedEx Fulfillment alternatives list is Fulfillment by Amazon (FBA). This popular service enables customers to store products in Amazon’s massive network of warehouse facilities. The service practically does everything for you, including packing, shipping, delivery and provision of customer support, giving you more time to focus on more important areas of your organization. The service is recommended for Amazon sellers and eCommerce businesses selling via Amazon and other sales channels. An advanced fulfillment network that can greatly benefit your business, FBA takes care of payment management and refunds and provides excellent customer service, resulting in richer customer experience. This complete array of functionalities gives FBA a clear advantage over FedEx Fulfillment. Other features include fast delivery/shipping and climate-controlled storage and order processing. With the service, you also get to enjoy Amazon’s returns policy. Anchored on the Amazon platform, the service gives your products much-needed exposure, improving your brand’s credibility with customers. FBA integrates seamlessly with popular eCommerce platforms, including Shopify, Magento, 3dCart, BigCommerce, among others. Pricing is relatively flexible despite being dependent on factors like as item type, size and weight. You can find Fulfillment by Amazon alternatives here. A leading order and fulfillment service, ShipBob offers same-day delivery for orders placed in Los Angeles, New York City and Chicago and surrounding areas. The service offers two types of services: a free platform for inventory and order management and customer communication. The other one is physical logistics and warehouse inventory services. The platform’s proximity to sellers and customers’ places gives it a significant edge over the competition, as this enables it to provide same-day pick-up and delivery at competitive prices. 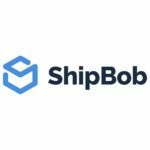 Although a new player in the order and fulfillment service market, ShipBob has several advantages over established providers such as low startup costs, fast onboarding and low fulfillment rates. Aside from these, ShipBob is a provider of crowdfunding fulfillment services, a cheaper way of shipping large orders. You can browse Shipbob alternatives here. A fast growing order and fulfillment service, Shipwire uses an enterprise-grade warehouse management system to provide its clients with safe and secure storage for their products. It has a myriad of shipping and handling capabilities and can choose the best couriers, routes and packaging options for customers’ goods, effectively cutting customers’ shipping costs. The service can expand its customers’ global reach as it has warehouses in places like China, the US, Australia, Europe and Asia. It easily integrates with popular eCommerce platforms, including CommerceHub, Magento, IShoppingCart, NetSuite, Volusion, and Shopify. Unlike other services, Shipwire does not require customers to enter into long-term deals and charges minimum fees, with pricing models simple, transparent and flexible. These features and more make Shipwire one of the best FedEx Fulfillment alternatives currently in the market. You can find Shipwire alternatives here. A leading order and fulfillment service in the US, Red Stag Fulfillment serves primarily businesses that engage in eCommerce. It specializes in shipping orders over five pounds, offering a 100% guarantee on 48-hour delivery, order, speed, and inventory accuracy. The service’ use of cloud-based technology and excellent logistics management processes have helped it stand out among its competitors. Red Stag Fulfillment is highly suitable for fragile, high-value and oversized goods, and is also ideal for products weighing more than five pounds and those that need customization or light assembly prior to shipping. The service’s partnership with notable shipper FedEx has given it the ability to ship heavy and oversize goods at low prices. Using top of the line technologies, the service can monitor its storage and packing facilities, ensuring safe and secure storage for customers products. The service’s pricing models are among the lowest in the industry, charging only $15 per month/pallet.  On top of this, It provides lower-priced partial bin and pallet plans, which are very suitable for small online sellers who have lesser shipping budgets. Browse Red Stag Fulfillment alternatives here. An online order fulfillment service, FulfillmentCompanies.net matches logistics companies with enterprises looking for such services. For sellers, the service comes free of charge, as the company charges only suppliers. However, vendors are required to pay only a small fee with every match found. It prescreens third-party providers and matches them with customers based in the US, Canada and Europe. Boasting 16 years of experience in the industry, FulfillmentCompanies offers impeccable supplier research services. The service is really fast, taking only a few minutes to get supplier quotes, seeing to it that these suppliers match your business’ requirements. It even provides a solution to help sellers compute the difference between the cost of in-house and outsourced fulfillment. However, the service could suffer from complications associated with fulfillment outsourcing as it has no control over third-party providers’ warehouse facilities, hence, unable to monitor products that are being shipped. A common problem for services of its kind. You can find FulfillmentCompanies alternatives here. An online solution that provides ordering, storage and shipping/delivery services, Fulfillify is an ideal FedEx Fulfillment alternative. It also offers kitting, custom order assemblies and a returns management program. The service boasts of shipping an average of 75 million items a year, delivering products to customers all over the world. Fulfillify is easy to both set up and use, as it utilizes a robust mobile-first technology, It enables users to monitor orders, inventory and products in real time from virtually any device, giving customers absolute control over the logistics stream. 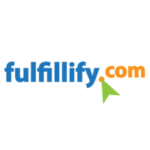 Fulfillify seamlessly integrates with clients’ existing eCommerce and shopping cart systems. Unlike other fulfillment services, the platform does not require customers to enter into long-term agreements, giving clients the option to change providers if they so choose. Set up is also very easy and convenient with Fulfillify doing the work, leaving customers with a fully functional system. You can browse Fulfillify alternatives here. A provider of order fulfillment, warehousing, distribution and transportation services, Integrated Distribution Services (IDS) Fulfillment helps companies to quickly and safely deliver their goods to customers. The service has an efficient and cost effective supply chain, providing for speedy delivery and lower shipping costs. IDS’ regional storage facilities enable it to promptly package and deliver products to customers. Aside from fulfillment, The service also caters to enterprises who have complex or heavy kitting needs, offering assembly, product packaging, promotional items, and point-of-purchase displays. Other services targeted at direct sellers include managing complex order profiles, consolidating parcel discount programs and customized gift messages and packing slips. 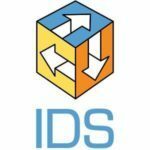 Browse IDS Fulfillment alternatives here. A service that is available 100% of the time, VelocityShip offers a wide array of fulfillment services, using only state-of-the-art fulfillment technologies to meet demands. The service is able to process 10,000 orders per day, requiring clients to pay only for the service that they use. It likewise offers bulk processing, allowing customers to quickly process multiple orders accurately. For companies with special fulfillment requirements, VelocityShip offers services such as inventory, product labelling or any other job for that matter. As for storage, the service systematically arranges inventory, ensuring accuracy. Plus, customers only need to pay for the days that their products stay in the warehouse. The solution integrates seamlessly with over 60 marketplace and shopping carts using its API. This is accomplished in a matter of minutes and comes free of charge. It is highly scalable, meeting customers’ growing demands. You can browse VelocityShip alternatives here. An order and fulfillment company targeted at eCommerce businesses, Ships-a-Lot cuts shipping and fulfillment costs. Unlike other services that offer limited flexibility, the platform helps eCommerce companies grow by increasing sales. It does this by fulfilling these businesses’ need for excellent customer service, a really good way to stay relevant to customers. The service guarantees 24 hours or less of lead shipping time, 24/7, which is accomplished through the use of data mining to gain operational insights. Ships-a-Lot has been constantly upgrading its machine learning structures to better classify shipments and scheduling. The company is so confident of its delivery speed guarantee that it offers to pay customers $20 for delayed deliveries. The service’s technology platform is among the best there is, ensuring a 99.98% accuracy rate. All of the service’s transactions are barcoded, with its staff always armed with a scanner or a tablet computer. Daily inventory counts are a common practice, using barcode scanners, with adjustments constantly logged. It seamlessly integrates with known eCommerce platforms, including Shopify/Plus, Walmart, Amazon and BigCommerce. You can find Ships-a-Lot alternatives here. An outsourced, cloud-based order fulfillment platform, Rakuten Super Logistics caters primarily to sellers in need of speedy delivery times both in the US and abroad. The service maintains seven strategically located storage facilities across the US and has access to an international network of shippers. The service has been known to slash fulfillment costs and keep timely delivery, helping clients build a positive brand image to their customers. 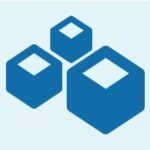 Rakuten Super Logistics offers an order and management and inventory system, a freight service with both pick-up and drop-off, a dedicated client support and technology tools that include Webistix SmartSuite. To help its customers grow, the service provides marketing services, marketplaces and a customer loyalty program. Rakuten Super Logistics guarantees two-day deliveries anywhere in the US using ground transport. 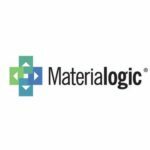 It provides a smart calculator and top of the line analytics to determine the most optimal routes, which can save users around $2.36 on shipping costs per order. The system integrates easily with popular eCommerce solutions such as eBay, Magento, Shopify, Amazon, Bigcommerce and PayPal. Rakuten Super Logistics is suitable for online sellers of any size, especially those who do not possess storage and distribution facilities. Requiring a minimum of 250 orders per month to facilitate fulfillment, the service can handle 10,000 and more orders per month with its enterprise plan. Browse Rakuten Super Logistics alternatives here. So there they are, the top 10 FedEx Fulfillment alternatives currently available in the market. All have their strengths and weaknesses, but one is sure to benefit your business.